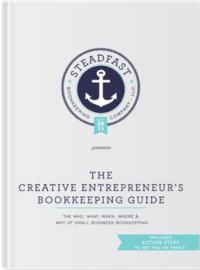 Five Ways to Boost Your Creativity as a Small Business Owner - Steadfast Bookkeeping Co.
It’s the dog days of summer, which means it can be tough to find motivation to be creative! Maybe it’s too hot out to focus, or your kids are out of school and are keeping you busy all day. Perhaps you experience a seasonal slowdown in your industry. Most of our bookkeeping clients are creative small business owners, so it’s important to us that you feel on the top of your game while we’re helping you keep track of your bottom line. During times when you’re just not in your sweet spot of productivity how do you boost your ability to be original and create? Here are our ideas for 5 ways to boost your creativity and get inspired! Blast your favorite song. Put on some music & play it just a little too loud. Why? Tunes boost your cognition – from concentration to creativity. Research shows classical music is particularly effective, but listen to what makes you happy. Release yourself from any pressure to think about work or your to-do list while you’re jamming, and just pay attention to the beats. See how you feel when the song ends. Any new ideas pop up or did you get an energy boost? Take a shower. This might seem like such a simple act, but science shows that taking a shower boosts dopamine. According to Psychology Today, “Dopamine helps regulate movement and emotional responses, and it enables us not only to see rewards, but to take action to move toward them.” Taking a shower also relaxes you and offers your brain a distraction so it can subconsciously work creatively. Get moving. Dance, go for a walk or a bike ride, or do some yoga or stretching. The bottom line is in modern American life, we don’t move enough. Being sedentary is a huge bummer for your brain, so getting up and being active for a bit is sure to give you a boost. Call a friend. Explaining a new project or a problem you’re tackling to a friend will give you the opportunity for feedback. It doesn’t matter if you’re friend is a creative, entrepreneur, or in your same industry. All that matters is getting a unique perspective. Sometimes their feedback won’t be helpful, but taking a few minutes to chat about your current creative block might help free up some space in your mind to move forward. Engage in an easy, but creative activity. Examples would be coloring, doodling, arranging grocery store flowers, restyling your desk a bit, or writing down a list of ideas unrelated to the task at hand. Giving yourself room to be creative with distance from your “real” work may spark new energy in what you’re trying to accomplish. Have you experienced creative block? If so, how did you overcome it? Or, are there little activities you do every day to maintain your creativity and motivation? We would love to hear about it!